On the Depot Springs Beer Co.'s website, there's an electronic clock ticking down the days, hours, minutes and seconds until the scheduled opening of its brewery in La Mesa. Ground has been broken in the East Village for the city of San Diego's first project under its Community Benefits Agreement. The 320,000-square-foot building for Sempra Energy at 424 Eighth Ave. in the East Village is nearing completion and there may be new life for the space being left behind. In just a matter of weeks, the county will celebrate the 16th rural fire station building project since the County Fire Authority was formed in 2008: Boulevard. The term “social climber” will take on new meaning and fitness enthusiasts will have a new place to hang out, quite literally, in Mission Valley when construction is completed this fall on the new $5 million Mesa Rim Climbing and Fitness Center. San Diego County is moving full steam ahead with two parking garage projects that have a combined cost of almost $70 million. The Navy is charging ahead with its plan for a $700 million, 24-project Special Warfare Command campus on the south end of Silver Strand Training Complex to accommodate a growing Navy SEAL force and aging facilities at its command on Coronado. The 40-year-old affordable housing development hugging the edges of downtown and Bankers Hill on Third Avenue near Date Street is in transition. The first homes in the long-awaited Harmony Grove Village are set to open at the end of May. San Diego County’s hospitality industry seems to be booming once again, now that the recession has cleared the dust. Viejas Casino & Resort recently held a topping out event for their new luxury hotel. Held on March 20, numerous people participated in celebrating this major construction milestone. Swinerton was joined by tribal leaders from the Viejas Band of Kumeyaay Indians, company executives, and local dignitaries. San Diego Mayor Kevin Faulconer spoke to the crowd, highlighting the many benefits the hotel brings to the region. Chosen to work on one of the first ever Distributed Energy Storage Integrations (DESI) project in Southern California Edison territory, Baker Electric was contracted to engineer, procure and construct a grid tie 2.5 MVA /2.5 MW hour battery storage system. Dynalectric San Diego, known for more than 40 years as a technologically advanced, forward-thinking electrical contractor, can design, plan, construct, install, and integrate virtually every electrical, control and telecommunications systems solution. We proudly serve the San Diego area, a community that we call home — and there’s nothing more important to us than working safely for clients. The National Electrical Contractors Association is the voice of the $130 billion industry representing contractors connecting communities and the United States with power, lighting and integrated systems. San Diego NECA electrical contractors work in all aspects of electrical construction. NECA contractors are the experts at the top of their field. We are certified, skilled, trained and remain on the cutting edge with the latest technology. We take the time to understand your business's unique needs, and find the innovative solutions to meet them. San Diego Unified School District dedicated a new synthetic turf field at Fulton K-8 School on May 5. Students, parents, school staff and district leaders were on hand for the celebration. Participating in the ceremonial ribbon cutting are (front) Fulton students, and (back, from left) Lisha Shaw, Fulton PE teacher; Marne Foster, board of education president; Stanley Munro, principal; Cindy Marten, district superintendent; and Lee Dulgeroff, chief facilities planning and construction officer. If you are a construction enthusiast in Southern California, it is unlikely that you haven't heard about the future 1-million-square-foot technology campus in San Diego's mid-city market. The esteemed piece of property was purchased by prominent San Diego-based Murphy Development in 2014. The five lots are complete, fully entitled and ready to be developed with build-to-suit opportunities for technology, corporate headquarters and R&D facilities. The San Diego construction industry seems to be mostly active, especially on the public sector side in 2015, but challenges are on the horizon when it comes to pricing and labor according to a panel of executives at The Daily Transcript’s third annual Construction Day held May 6. 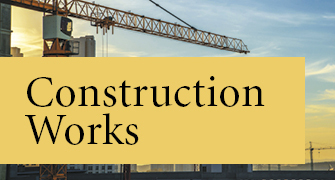 Construction Works takes a closer look at some of the projects and trends in construction here in San Diego.